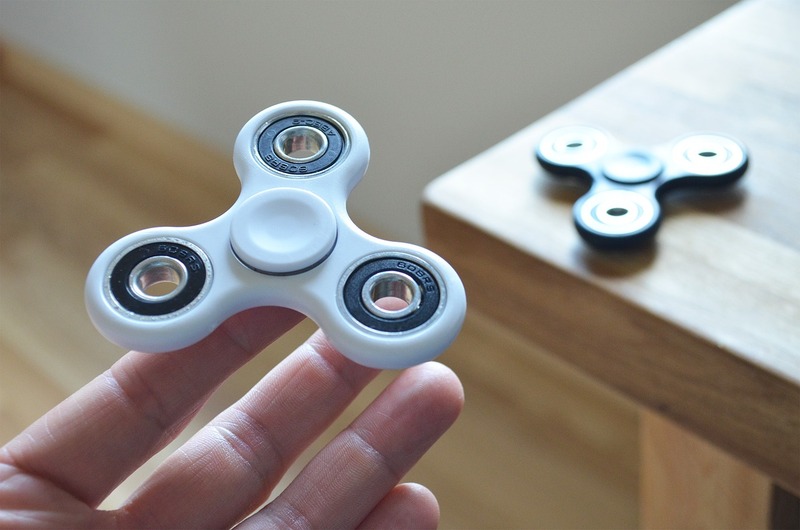 Actually, fidget spinner is a quite simple device: it is a trifurcate gadget that is able to be spinning around, thanks to a ball-bearing in the middle of it. Most of them are made from plastic, but we can also find some that are made from copper or steel. Furthermore, the construction and the size of the bearing can also occur in different variations. These characteristics determine the spinning time of the device, but we can also buy gadgets with some more extras, for example a phosphorescent one. Therefore, their price varies on a wide scale; we can buy a toy for less than 1000 HUF, but it we want a quality piece, we’ll have to pay much more. In 1993, Catherine Hettinger, chemical engineer invented and licensed the device, but the gadget didn’t become well-known by the big public right away; on the contrary, it has been forgotten for years. Originally, the inventor created it for children suffering from attention deficit. Although, its real efficiency is still debated by the professional community, and according to some of the experts, the spinning toy can improve those children’s ability of concentration who suffer from autism, attention deficit hyperactivity disorder, or anxiety. For example, most children having attention deficit experience increased stress when they know that they are restricted in their movement, warns Dr Márta Bodnár, pediatric psychiatrist. The name of the fidget spinner hadn’t been known by common people for a long time, up until a few months ago, when during the spring of 2017, it broke into the market and spread all over the world. Nowadays, more and more students use it, and with time, the elder generation might take to the new game as well. So originally, the little gadget was invented for children having attention deficit, but then what can those many youngsters do with it during a school day or at home? On the one hand, spinning the toy functions as a secondary activity, so it might be done to avoid boredom, just like in the case of scribbling. This characteristic is quite important since many children can concentrate better if they can do something else or make some movements at the same time, and in this case, they don’t make noises or bother others. Therefore, if parents decide to buy a fidget spinner, it’s recommended to try it before paying, so they can know if the device makes noises. On the other hand, both beginners and advanced players can invent and practice several tricks. The only limit is our imagination; for example, we can pass it from a finger to another or fling it up while it’s spinning. This activity activates our imagination, needs concentration, and we also become handier. Moreover, it might be a perfect tool to motivate children; for example, it can be used as a timekeeper for different tasks. These might be intellectual ones or physical exercises: children have to solve as many mathematical problems as possible or squat as many times as possible while the gadget is spinning. The contest makes learning more exciting as children feel like they’re just playing, and this way they enjoy it more. Adults can also benefit from the fidget spinner, just like youngsters. For instance, it might be a great activity to reduce stress in the office, just like when we are playing with our pen or with a little ball. Inventing and practicing new tricks might be a group activity while we are together with our friends and having a chat. And the list can go on; it’s up to our creativity what we use the little spinning toy for.